I've decided that for 2016, my reading goals for this year are definitely going to be more tame than that of last year. Instead of setting myself the goal of reading 20+ books, I've decided to take a much more relaxed approach and choose a couple of individual reading goals that I can try and accomplish by the end of the year! I've done this for multiple reasons but mainly because now that I'm at university it means I have far less free time and I don't want to add any extra pressure. I've chosen a selection of books that I plan to make my way through throughout the year and I thought I would share them with you guys today! I read the first two books in this series when I was around 18 through a recommendation from a friend, and really enjoyed them. We were waiting for the third book to be released and therefore completely forgot about the series, before I stumbled across it on amazon the other day and promptly added it to my bookshelf! I'm currently half way through the first book and I forgot just how mental this series is. I'm loving it though, and can't wait to find out what happens in the third book! For Christmas a couple of years ago I was given a beautiful edition of the Harry Potter series, and I've put off reading them for quite a while because I've been trying to read as many new books as possible. This year I plan on indulging myself and revisiting my favourite series, along with finally getting to experience reading my gorgeous editions! I was given a copy of this book years ago and I have been avoiding it like crazy. The book is 800 pages long, a tiny font and apparently filled with intense descriptions. I really would love to read this series because I haven't even watched the tv show and I know so many people who adore it, so hopefully this year I will bite the bullet and finally take on this monster of a book. I purchased this book when it was first released and have still yet to get around to reading it. I'm very curious to see if I enjoy a new genre and writing style by JK Rowling so I'd like to try and tackle this by the end of the year! I was first introduced to this series when I was in high school as it was a compulsory book we had to read in our english class. I remember myself and my friend enjoying it that much that we went on to purchase and read the second one straight away. I then pretty much forgot about the series until my mum bought me for the third and fourth book for a birthday a few years back and the series has been sitting on my shelf ever since. I figured it was about time I re-visited this series and finally found out how it all ends! Some great book ideas there! Thanks for sharing your list. Good luck I hope you achieve your goal! 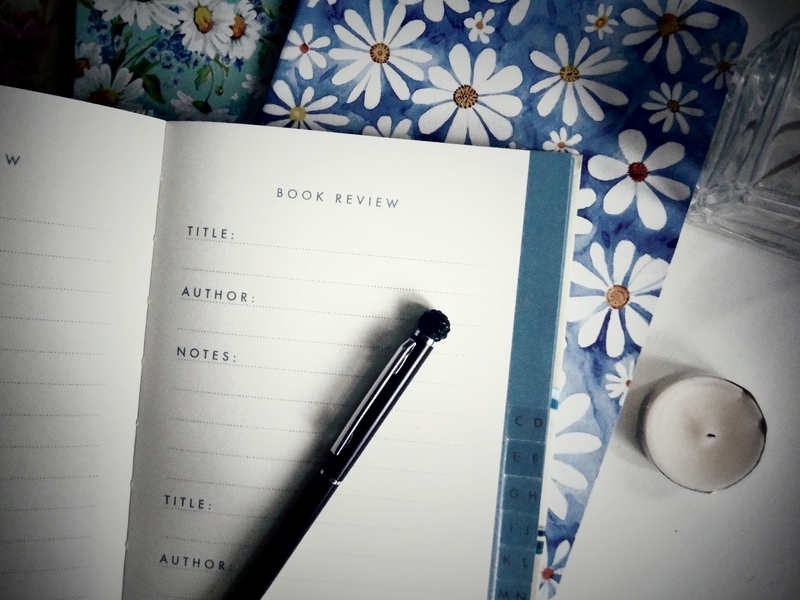 I love that book review note book, I really need to get myself one of these, I also need to re-read Hp series, but also to get through more books this year, did not read enough last year!